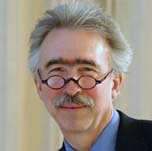 Nicholas B. Dirks is the Franz Boas Professor Emeritus of Anthropology and Professor Emeritus of History at Columbia University, where from September 2004 to July 2013 he has been Executive Vice President for the Arts and Sciences and Dean of the Faculty. Dirks came to Columbia in 1997 when he was asked to chair and rebuild the department of Anthropology. Before coming to Columbia, Dirks was Professor of History and Anthropology at the University of Michigan, where he had also been the founding Director of the Interdepartmental Ph.D. Program in Anthropology and History, Director of the Center for South and Southeast Asian Studies, and Director of the Advanced Study Center of the International Institute. Dirks did his undergraduate degree in Asian and African Studies in the College of Social Studies at Wesleyan University, graduating in 1972. He then joined the Ph.D. program in the department of History at the University of Chicago, where he received his Ph.D. in 1981. He taught in the Division of Humanities at the California Institute of Technology between 1978 and 1987, when he accepted a professorial position at the University of Michigan. He has also taught at the École des hautes études en sciences sociales and has held a visiting appointment at the London School of Economics. His major works include The Hollow Crown: Ethnohistory of an Indian Kingdom (Cambridge University Press, 1987); Castes of Mind: Colonialism and the Making of Modern India (Princeton University Press, 2001); and The Scandal of Empire: India and the Creation of Imperial Britain (Harvard University Press, 2006). He has edited several books, including Colonialism and Culture, (University of Michigan Press, 1992), Culture/Power/History: A Reader in Contemporary Social Theory (Princeton University Press, 1994), and In Near Ruins: Cultural Theory at the end of the Century (University of Minnesota Press, 1999), and published more than forty articles on subjects ranging from the history and anthropology of South Asia to social and cultural theory, the history of imperialism, historiography, cultural studies, and globalization. He has done extensive archival and field research in India as well as in Britain. He is currently working on a book concerning the last years of British rule in India and the growing role of the United States in South Asia, and also a book entitled, The University and the World: The Opening of the American Mind. Dirks has held numerous fellowships and scholarships and received several scholarly honors, including a residential fellowship at the Institute for Advanced Study in Princeton, a Guggenheim Fellowship, and the Lionel Trilling Award for his book Castes of Mind. He has directed book series at Princeton and Columbia University Presses. He also serves on numerous national and international bodies, as advisor or member of the board, and is a Fellow at the Council on Foreign Relations. As Executive Vice President for Arts and Sciences and Dean of the Faculty at Columbia, he is responsible for the academic administration and direction of the largest unit of the University, including 29 departments (covering the humanities, social sciences, and natural sciences), 27 institutes and centers, and five schools (Columbia College, the Graduate School of Arts and Sciences, the School of the Arts, the School of General Studies, and the School of Continuing Education). In addition, he oversees the operational and financial management of the Arts and Sciences in conjunction with long-term academic and financial planning as well as fundraising and development, both for the Arts and Sciences and the University as a whole.